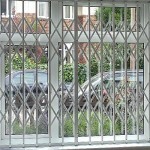 Securi-Door Services of Hertfordshire are happy to quote you on any domestic and residential installations. We manufacture, supply, install and service roller shutters, mechanical doors, security doors, security grilles and security gates and garage doors. Our team will be able help you decide the best options for your house because bespoke solutions are our speciality. You could introduce a little luxury to your lives with a Securi-Doors remote-controlled, electrically operated mechanism for your garage doors. You can choose to simply upgrade your own existing door or perhaps you feel it is time for a change. 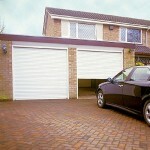 You could opt for a new traditional panelled door or, if you are a bit more high-tech, a more modern roller door. 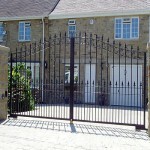 Securi-Doors can also add automation to gates by adding an electric motor and radio controlled unit. For added safety, all units come with a photo-cell ensuring that any motion is automatically halted if any obstruction is met. 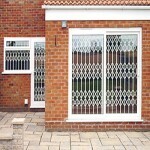 Whichever option you choose, an automated gate or door will ensure that you stay warm and dry even on the wettest of days with the reassurance of after-sales support that only Securi-Doors can provide.